Do you remember the Chrysler Town & Country Family Vacation Do-Over Giveaway where one of my readers won $150? Well, little did I know when I posted it that one of my readers would also win the big $5,000 prize in the Chrysler Town & Country Sweepstakes! We plan to donate half the prize money back to the Ronald McDonald House of Cleveland who helped us so much during the wreck. It’s all about paying it forward and realizing that everything in life is a blessing from the Lord…even the tough stuff!! Congrats to all of you who have won stuff,Thanks to Freebies4Mom! I,too started playing the instant win games,and after months of not winning anything but a free coupon here and there,I played the Subway Fresh Buzz instant win sweeps-and won a Sony Playstation 3 Hardware bundle! My children wanted one so bad for christmas,and with my husband’s company having closed,and us barely getting by,we werent sure what to do.Now,we dont have to worry about their “wishlist” for christmas! Since then I won 4 giftcards,a playstation 3 game,an MP3 player,a T-shirt,and a few other items.It is such a blessing to be able to win,and have some help-Thanks again Freebies4Mom! I also won the Kelloggs Frosted Mini Wheats sweeps! It was such a surprise receiving it today! I’ve told all my friends that this site rocks with discovering cool freebies and easy to enter giveways/sweeps. I just got a surprise in the mail today! I won one of the grand prizes in the Kelloggs Frosted mini wheats sweeps! They sent me a check for $250 dollars! It is such a blessing because we are getting ready to take a long driving trip and it will sure help out! I found our about it on Freebies4mom and I have won a few little things in the past but this was awesome! Thanks for all the updates on sweeps and freebies! You sure made this a great friday! I too received a $250 check in the mail from Kelloggs.. I am thrilled! First of all, congrats to Tricia and bless her family for what they’ve been through! I’m glad they’re all okay now. Secondly, I ALSO won $250 from the Kellogg’s/Frosted Mini-Wheats School Year’s Resolution Sweepstakes! I just got my check delivered by UPS today! 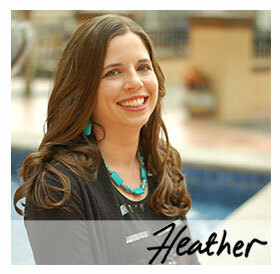 Thank you for all of the great info, Heather! Heather, remember the Kellogg’s School Year Resolution sweepstakes? A check just appeared via UPS for $250!!! No advanced notice, just a doorbell and a paper envelope (made me flinch and think maybe someone was playing a Halloween trick)! I read a few things online and it seems like a lot of people are seeing these…hopefully a lot of Freebies4Mom readers!!! I’m so happy for her. She truely deserved it. I’ve been subscribed to Freebies4Mom for about 3 years now and I’ve been entering sweepstakes just as long. I normally only win free downloads and maybe a small giftcard here and there, But Monday I was totally surprised when I finally won something. It’s not much compared to Tricia’s big win, but it’s the most I’ve ever won in my life. I entered Kelloggs back to school giveaway which you could only enter once and I won $250.00. I had no idea I won until I opened the fedex envelope. Since I’m a stay at home mom with no income of my own it was nice to finally buy myself something. Keep posting those sweeps Heather Thanks! So glad your family won! I didnt get to read your story before hand but Im glad that I was able to read it now. Someone was watching over you then and is watching over you now. So glad to see that your family will be donating some of the money. Enjoy the rest and stay safe! So thankful ya’ll are ok, Tricia,…and quite excited to see the blessing God has provided for you and your family! Isn’t it amazing how He works things out for our good? Sometimes we can see it, and sometimes we won’t know until Heaven! I remember reading her story and hoped she would win. That is great. I’m glad you are all healed and doing well. I’m so sorry for what you all had to go through. Congratulations Tricia!! Quite a story, and glad you are all fine now! Heather, have you heard anything from the Albertson’s sweep that you also posted. I believe their grand prize was a minivan too.